Over your lifetime, you are going to spend well over a year in the bathroom. Therefore, it makes sense to have your master bathroom look as beautiful and be as comfortable as possible. You also want to do the remodel on a budget you can afford. That’s what Classic Baths by Design does for you. A master bathroom is a special place. It’s not just where you go to answer nature’s call. You also spend time relaxing there. Imagine coming home from a hard day’s work; you light a few candles, put on some easy-listening music and slip into a nice warm bubble bath surrounded by beauty and comfort. It doesn’t get much more relaxing than that. We will sit down with you and draw up plans that will lead to the bathroom of your dreams. We will guide you in choosing the colors, materials and fixtures that will turn your master bathroom into an oasis of serenity. Why have a boring bathroom when you can have one that is unique to your tastes? After developing the design plans we will create a work schedule with details for each day. You’ll be able to track the progress of your project and know what work is being done on any given day. Project management is a key component of our success at Classic Baths by Design. We work with independent contractors who understand the importance of keeping the schedule while producing high-quality work. We take the necessary steps to ensure that you will be pleased with your new master bathroom. We offer individualized attention and clear communication so there are no surprises. We keep you informed on the progress of your remodel and work to stay on schedule. At the end of the project, you will have a beautiful master bathroom in which you can relax and enjoy your quiet time. 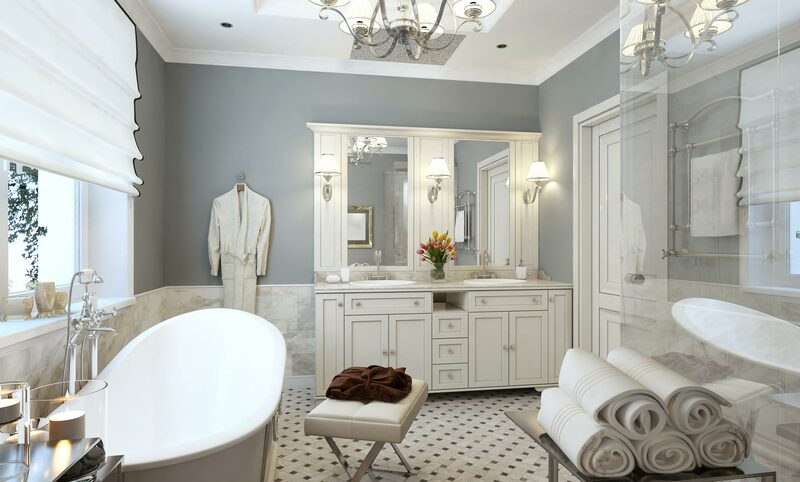 Let Classic Baths by Design show you what your master bathroom could look like. Contact us today and make an appointment for your consultation. We look forward to transforming your master bathroom from uninteresting to magnificent.